How Much Home Can You Buy In Tallahassee Versus Other Market Areas? I recently came across an interesting infographic that compares the buying power for homes in each State. I have included the infographic and compare it with Tallahassee homes. 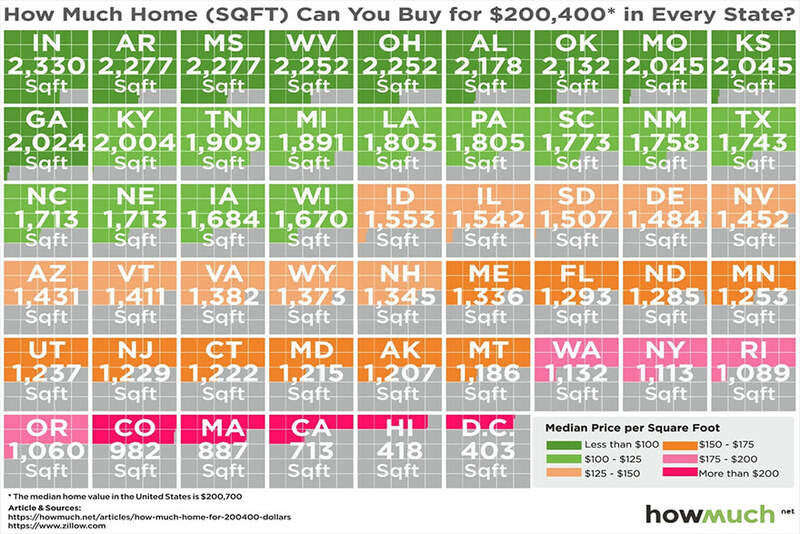 The infographic above shows how much home (size of homes is shown in square footage) you can buy in each State. You can find the original article here. It uses data supplied by Zillow, so it is less than complete or accurate, but it likely is consistent (meaning if they say Florida is more expensive than Nebraska, then it is likely true). According to the infographic, the median price per square foot of a home in Florida is between $150 and $175 per square foot! That will buy a lot more home in Tallahassee than what they are showing for Florida. It shows the size of home that you can purchase for roughly $200,400 around the US, so I've listed the homes for sale in Tallahassee below that are very close to that price as well. How Much Home (SQFT) Can You Buy In Tallahassee For $200,400? How Much Home Can You Buy Right Now In Tallahassee? I have produced some graphs that provide great insight into the median home in Tallahassee today. As of the writing of this report, the median home size is 1,593 square feet, and it seems to have bounced between 1,575 and 1,660 square feet over the past five years. One thing is certain ... the number of existing homes coming onto the market is declining, so expect prices & values to rise faster than normal over the next few years. The median home value has been on a steady rise since bottoming in 2012. The median price per square foot today (asking) is 20% higher than what was on the market just four years ago. Both the median price and median value are rising, but values are rising slightly faster than prices. This explains why we've seen the median home size decline. If you have made it this far in today's post (congratulations) and are wondering why it really matters, then you are smarter than the average home buyer and home seller. These trends in the market help you position yourself tactically correct in a negotiation. Ignorant buyers low-ball an offer and rarely have a successful negotiation. Ignorant sellers over-price their listings and rarely get top dollar for their homes. The key is understanding EXACTLY where a home fits in to the Tallahassee real estate market and recognizing the most successful negotiation technique(s) for that position. And that is what we do at Joe Manausa Real Estate. We position our buyers and sellers for optimal outcomes. Our sellers only work with home selling specialists. Our buyers only work with home buying specialists. If you'd like to see how the most-prepared, local market experts can save you money when selling and/or buying a home, just give us a call at (850) 366-8917 or drop us a note and we'll be in touch right away to set up a time to just talk. Want to know how we're doing? 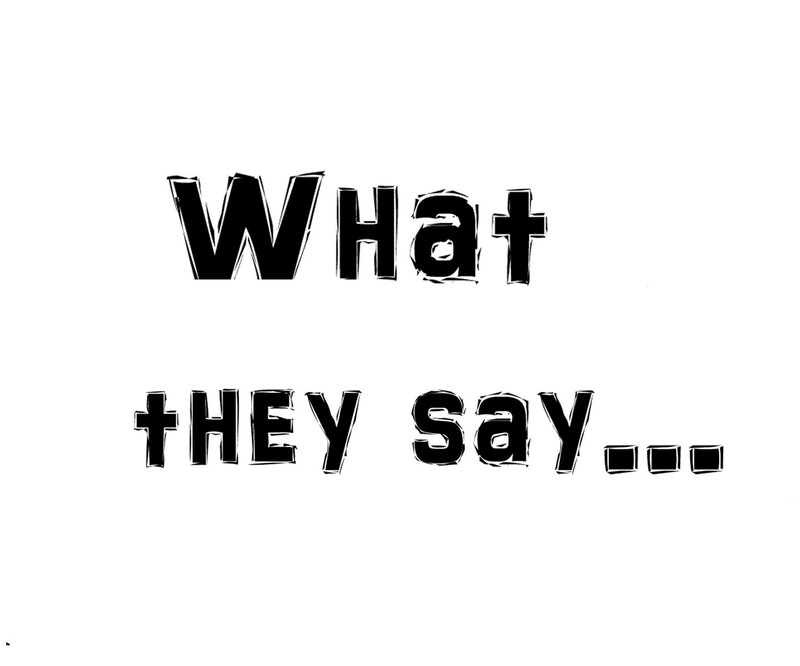 See what our recent clients are saying below!